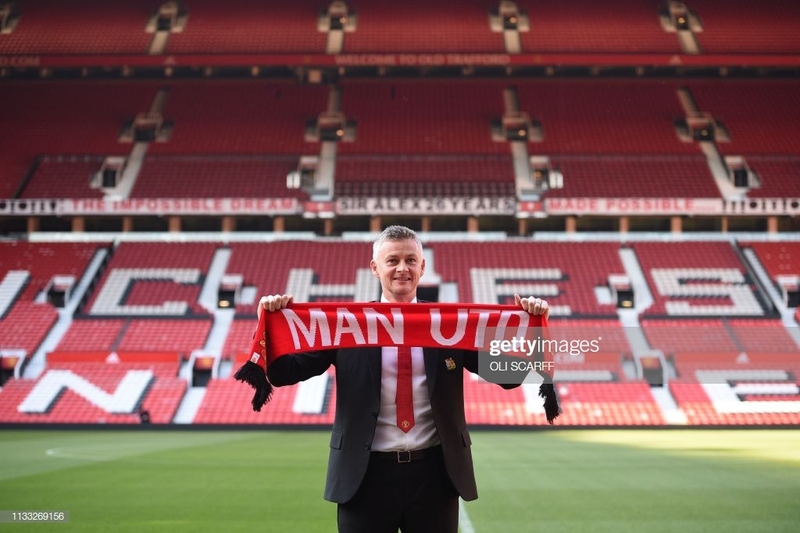 Ole Gunnar Solskjaer will take charge of his first game as the permanent Manchester United manager on Saturday as the Red Devils host Watford at Old Trafford in a crucial Premier League contest. Saturday’s contest between Manchester United and Watford has suddenly increased in historical context, as it will now be Ole Gunnar Solskjaer’s first match as the full-time manager at United after the club gave him the permanent job on Thursday. It’s a deserved promotion, as the Norwegian has turned the team around, but now the pressure is on to keep the good times rolling. It will be a tough test at the weekend, as Watford have proven they can beat any team in the country when they are at their best, but United will have to pick up the win at home if they want any chance of cracking into the top four to secure Champions League football for next season. The Red Devils are in the midst of their first losing streak under Solskjaer, as they’ve dropped their last two games in all competitions. Both were marquee matches, one coming in the league and the other coming in the FA Cup. It started with a tough loss to top four rivals Arsenal, who jumped ahead of United in the standings after the 2-0 win. It was an odd day for the Red Devils, who conceded the opener due to a rare David De Gea mistake before the London side were given an undeserved penalty which was converted by Pierre Emerick-Aubameyang to make it two. United had a chance to respond in a game of equal importance the week after, as they travelled to face Wolves in the FA Cup quarter finals. However, they managed to be worse than before, with it being the worst performance from the team since Solskjaer took over. An ugly contest throughout, the home side managed to grab a goal in the 70th minute when Raul Jimenez reacted first to a bouncing ball in the penalty area to smash a shot past Sergio Romero. They doubled their advantage five minutes later after Diogo Jota torched United on the counter, and a stoppage-time goal from Marcus Rashford wasn’t enough to keep United in the competition. The FA Cup was United’s best chance at silverware this season, but at least their elimination will help the team focus on their Premier League and Champions League campaigns. Unlike United, Watford won their FA Cup quarterfinal matchup and advanced to Wembley Stadium where they’ll face Wolves. The Hornets had to get past Crystal Palace, but they had the benefit of playing at their home stadium, Vicarage Road. They started well and took the lead after Etienne Capoue poked home from close range after a goalkeeping error. Palace equalized at the hour mark, with January signing Michy Batshuayi taking advantage of sloppy defensive play from the home side to get through on goal and slotting past Heurelho Gomes. Andre Gray would prove to be the hero, as the substitute scored the winner mere minutes after coming onto the field. Watford held on and booked their spot into the semifinals of the FA Cup. It was a strange time when the two sides faced off earlier in the season, as Watford were joint top of the league after making a perfect start to their campaign while United were struggling under former boss Jose Mourinho. As the in-form home side, Watford came into the game as slight favourites, and started the contest on the front foot. David De Gea kept them out and allowed United a chance to get back into the match. The Red Devils made the most of their momentum, scoring twice in the span of three minutes after Romelu Lukaku and Chris Smalling both converted off set pieces. Watford pulled one back through Andre Gray with a half hour to go, and further pressure was put on United when Nemanja Matic was sent off with minutes to go. Man Utd managed to hold on and handed Watford their first loss of the season to that point. The only United player who is guaranteed to miss out on Saturday is Alexis Sanchez, who is still recovering from his long term knee injury. However, many names are doubtful, as the club saw a high number of players miss out on international duty. Marcus Rashford, Luke Shaw, Nemanja Matic, Anthony Martial, Romelu Lukaku, Jesse Lingard, and Victor Lindelof all had to miss out on representing their countries, and it’s not clear who will be ready for the weekend. Antonio Valencia and Matteo Darmian are also unavailable for selection. Watford have had more luck when it comes to injuries, as they are only without former United man Tom Cleverley, who has yet to return from a calf problem. Manchester United: De Gea, Valencia, Jones, Smalling, Young, McTominay, Herrera, Pogba, Dalot, Rashford, Mata. Watford: Foster, Janmaat, Mariappa, Cathcart, Holebas, Doucoure, Capoue, Hughes, Pereyra, Deulofeu, Deeney. Will we see anything different from Solskjaer? As mentioned prior, Saturday will be Solskjaer’s first game as the permanent boss of Manchester United. The club confirmed the news on Thursday, and now all eyes will be on the Norwegian to see what happens next. He is no longer trying to prove himself to the board. Now, as he knows he will be the man for the foreseeable future, Solskjaer will be able to plan for the long term. There is still immense pressure on him, as United are in a tight race for the fourth and final Champions League qualification spot, but he can now fully focus on building a team for the years to come. The board have put their faith in Solskjaer, and only time will tell if it was the right decision or not. Can Watford crash the Solskjaer party? The Hornets have had a dreadful time against the big six clubs of the Premier League this season, with Watford only managing to beat Spurs at home in the opening weeks of the campaign. It went all downhill from there, as they lost away to Manchester City and Liverpool while conceding eight goals in the two-game span. They sit comfortably in 8th place in the league, but their fans will want to see more of a fight put up against the country's elite teams. One of Watford's most historic moments came when they beat United at Vicarage Road a few years back, and they’ll hope to create more memories on Saturday afternoon.